the Department of Education and Child Development, South Australia. The EALD Program, Literacy Year level and Register Continuum The Language and Literacy Levels are structured according to three year level groupings that correspond to those of the Australian Curriculum: Levels 1-6 correspond to Foundation to Year 2, Levels 7-10 correspond to Years 3-6 and Levels 11-14 correspond to Years... (NSW Department of Education and Training Literacy Continuum) When learners comprehend, they interpret, integrate, critique, infer, analyse, connect and evaluate ideas in texts. They negotiate multiple meanings not only in their heads but in the minds of others. The Literacy Continuum Literacy is the ability to understand and evaluate meaning through reading and writing, listening and speaking, viewing and representing. Literacy skills need to continually expand and diversify because our rapidly changing social and economic environment requires competence in a range of new communication forms and media.... 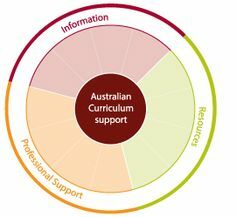 The Australian Curriculum, Assessment and Reporting Authority (ACARA), in partnership with NSW Department of Education, led the development of national collaborative action to develop the progressions from mid-2016 to the end of 2017. The New South Wales Department of Education and Training would like to acknowledge the valuable contributions of the following individuals and organisations in the preparation of this resource. at the forefront of the remediation effort in the NSW Department of Education for over two decades. In 2012, RR was offered in over half (approximately 60%) of NSW government primary schools, with approximately 14% of all Year 1 students participating in the intervention. The Literacy Continuum Literacy is the ability to understand and evaluate meaning through reading and writing, listening and speaking, viewing and representing. Literacy skills need to continually expand and diversify because our rapidly changing social and economic environment requires competence in a range of new communication forms and media.